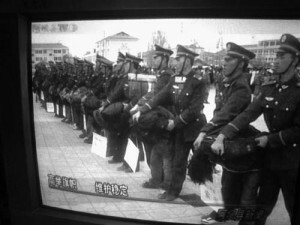 On March 16, 2008, China’s People’s Armed Police (PAP) indiscriminately fired live ammunition on unarmed protesters including monks of Ngaba Kirti monastery leading to the death of at least 7 Tibetans on the spot and injuring several others. The incident took place after a regular prayer session at the monastery on March 16, 2008 when hundreds of monks suddenly erupted into spontaneous protest and chanted slogans calling for “Tibet’s independence”, “return of the Dalai Lama” and “freedom for Tibet”. The monks were later joined by lay people of Ngaba.